All of the collaborative projects need to be submitted individually and need to include a personalised black slate. Photos from the Media & Film Award ceremony. The final draft of your production report is due this Friday 5th April at 17.00. It is essential that it is submitted at this time and there is no possibility of extension! It will be marked over the weekend, moderated on Monday 8th and final marks submitted to IB on Tuesday 9th April. The name of the film. Word Count (approx 1,000 words) p.? Here is an example title page. These captions should be brief and contextualise the images. They are not included in the overall word count. Part 1, Creative Work in Your Production Role. The student provides a thorough and discerning justification of their creative choices in order to convey meaning in one film production role during the production phases. This work is detailed, accurate and relevant. Discussion is likely to evidence the creative work undertaken during the pre-production, production and post-production phases and the ways in which their production skills, techniques and/or approaches were effectively deployed in order to convey meaning and to contribute to the overall effectiveness of the film. Part 2, Collaboration with your core production team. This section should begin with a clear statement of the core production team’s agreed intentions for the film. The student cites informative moments or examples from within the completed film to support their reasoning. Discussion is likely to evidence the student’s work beyond the one chosen film production role and their approaches to effective group work (through problem-solving, giving and receiving constructive feedback, supporting others, working flexibly, reliably and responsibly and so on). Reflecting on collaboration does not mean that students should see this as an opportunity to complain, blame or criticize the role of other core production team members. Students should cite informative moments and examples from within the completed film to support their reflection. Here is an annotated example of a production report. Please redraft the second part of your production report based on feedback. You should refer back to your creative intention within this section of the report and your decisions / revisions, should be referred back to that, as this is your overarching meaning. Please include screenshots of your work in progress and pictures of planning documents. A pick up list for the cinematographer? A sound spotting list for the sound designer? How were you involved in discussion with the editor about the rough cut? What suggestions were made about how to recut draft 2? What specific decisions have you made in your production role to create meaning and link back to you individual or group creative intention? Please note that we are obliged to mark this work and upload to IB by April 10th April. This means there are no extensions under any circumstances! There will be a deadline every Friday for the edit to take shape. Please remember you have a 500mb limit for this file. How did you work with other team members during the shoot? What feedback did you give and why? What decisions did you make and why? Remember this should be linked to communicating meaning. What decisions did you make on shoot to communicate the desired meaning within your production role? Sound designers discuss: dialogue, Foley and ambient sound recorded. We want to submit your horror film sequence into one of the award categories. A copy of the whole film. A 30-40 second clip to be played as the films are nominated. We have tried to upload your comparative video essays to IB Central Command and have hit a problem. Their website only accepts uploads to a maximum of 500mb! 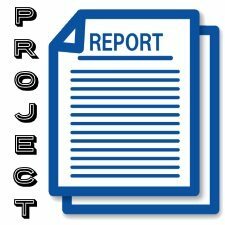 Please redraft the first part of your production report based on feedback. The pitch (recorded and available for review). Feedback on the idea as a whole. How did you direct your actors and work out the blocking. What specific creative decisions / changes did you make during pre-production as a group? What was the importance / significance of these? The pitch as it relates to your production role. What Targets / experiments will you practice in your production role. What pre-production tasks / documents did you have to complete in your production role and how did you get input from other team members? What specific creative decisions did you make during pre-production in your production role? Rehearse your actors and block the scene(s). This will require you using a phone to take photos of the blocking. Working with the actors to discuss the action & behaviour, their lines and mood. Sound Designer: practice Foley recording or editing / composing temp tracks. Editor: test edits / colour correction. This should be done for independent study and your ideas should be based on examples taken from your shared vision document. Shot list for all scenes. Risk assessment for your shoot(s). Here is a generic risk assessment, agreed by your parents. You should also discuss and complete a group risk assessment for each location you intend to film at.